California, on December 12, 2016. The nominees for the 2017 Golden Globe Awards have been revealed. 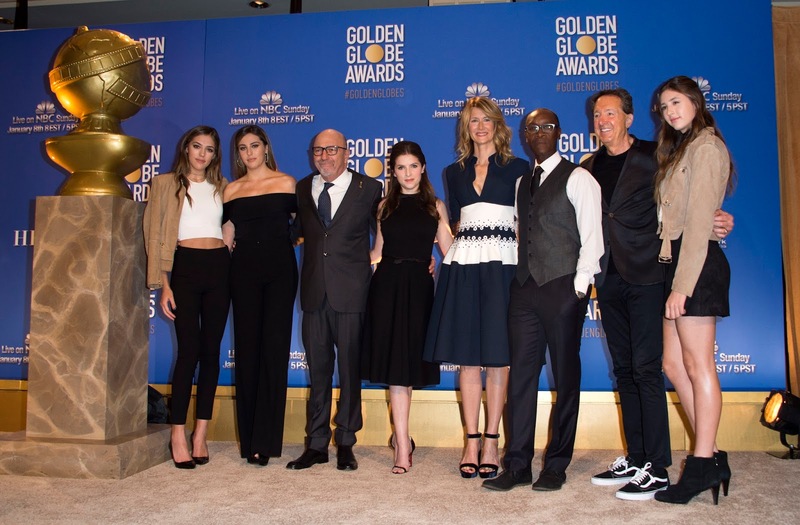 Former winners Don Cheadle and Laura Dern and nominee Anna Kendrick announced the film and TV contenders Monday morning from The Beverly Hilton hotel in Los Angeles, the site of the annual awards show. The 74th Golden Globe Awards, which are voted on by the Hollywood Foreign Press Association, will be hosted by Tonight Show host Jimmy Fallon and will air live on both coasts Sunday, January 8, 2017 on NBC. The ceremony is set to honor Meryl Streep with the Cecil B. DeMille Award. The actress, who has won eight Golden Globes and has been nominated 29 times, most recently starred with Hugh Grant in Florence Foster Jenkins.